John Ikard has been selected to be the 2017 recipient of the Invisible Disabilities® Association Corporate Award. He has been chosen because through his leadership as the former CEO and current member of the Board of Directors for FirstBank, he helped create a corporate culture of giving back to the community with over $50 million donated since 2000 including to many disability and illness charities and associations. In addition, John helped focus FirstBank on outreach and community involvement with veterans and individuals with disabilities with a special emphasis on job accommodations and access. John retired in February 2017 after serving 17 years as the President and CEO of FirstBank Holding Company, Lakewood, Colorado. John stills serves as a board member of FirstBank Holding Company and the immediate past Chairman of the American Bankers Association (ABA). With total assets in excess $15 billion dollars, FirstBank is the second largest bank in the State of Colorado and one of the largest privately held financial institutions in the country. Despite the financial crisis, FirstBank has posted record profits every year since 2007. John started at FirstBank in 1981, and has been president and CEO of FirstBank Holding Company since 1999. John has held leadership positions in a wide variety of organizations. 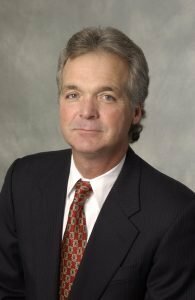 He formerly served on the Board of Directors of the Federal Reserve Bank of Kansas City, former Vice-Chair and current board member of both the Colorado Children’s Hospital Foundation and Colorado Children’s Hospital Board. He is past Chairman of the Denver Area Boy Scout Council past Chairman of the Denver Metro Chamber of Commerce and past board member of the Colorado State University Board of Governors. In 2010, John was honored with the prestigious “Community Banker of the Year Award” by the American Banker magazine. FirstBank has been awarded the “Ethics in Business” award by the Colorado Ethics in Business Alliance and named by the Denver Post as “Best Places to Work” for the last four years. John is a graduate of Colorado State University, holds an MBA from St. Edwards University in Austin, Texas, and is a graduate of the Pacific Coast Banking School at the University of Washington.